Please go to Night Safari ticket counter & present your activated iVenture Card. Actual admissions are based on fixed time slots at 7:15 pm, 8:15 pm, 9:15 pm & 10:15 pm on a first come, first served basis due to park/show capacity. Kindly go to Night Safari early to avoid disappointment. Collection Information Tickets must be redeemed at the Night Safari entrance, please have your iVenture Card present. 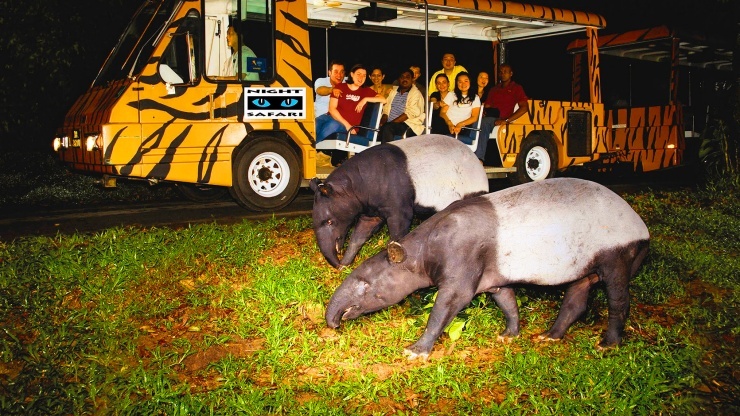 Having opened in 1994 and already a 12-time winner of best attraction category awarded by Singapore Tourism Board, the praise Night Safari receives from customers and tourism organisations is reason alone to come meet the animals and enjoy the fun! For extra incentive, how about a unique tribal dance show or a bit to eat at the Ulu Ulu Safari Restaurant? See it all on your next visit! As dusk falls, the night has just started for over 1,000 nocturnal animals. Observe, as they rise to frolic, graze and hunt their night away! Embark on a fascinating journey through the world’s first wildlife night park! 8:15pm-9:00pm Catch the cats in action on the Fishing Cat Trail. Walk through a primary rain forest at the Forest Giant's Trail. Next, meet the magnificent cats whilst on the Leopard Trail. Singapore’s Night Safari is straightforward to get to: make your way to the attraction by car, or MRT & Bus. Parking is $3 an hour and can be arranged in advance. Guided tours are available, so too are special amenities such as strollers for young children, and wheelchair access for the elderly or disabled. A few more helpful tips to be mindful of when you arrive here: prepare for the rain, wear comfortable footwear, bring along insect repellent, and stay hydrated with water during your adventure. 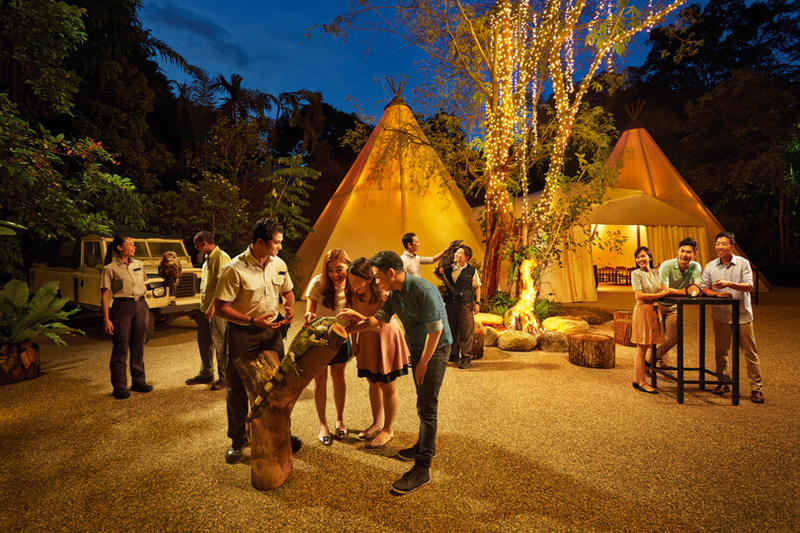 It’s worth noting that Singapore’s Night Safari is hugely popular and the tours and special events available may book up early, so ensure you plan your itinerary in advance to not miss the best bits!